Go see this movie! Splurge and see it in 3-D! Kids will love it! Adults will love it! Even adults without kids will love it! We just got back and I'm carefully rearranging my list of favorite Disney and Disney-Pixar films to fit this one up at the top. Plus, there was a trailer for the Toy Story 3 movie, coming out in June 2010. 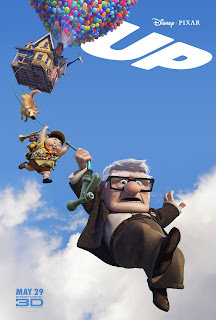 Quick, I know it's late, but it's a Friday night and they have late shows... go grab the kids and get to the theater to see Up!